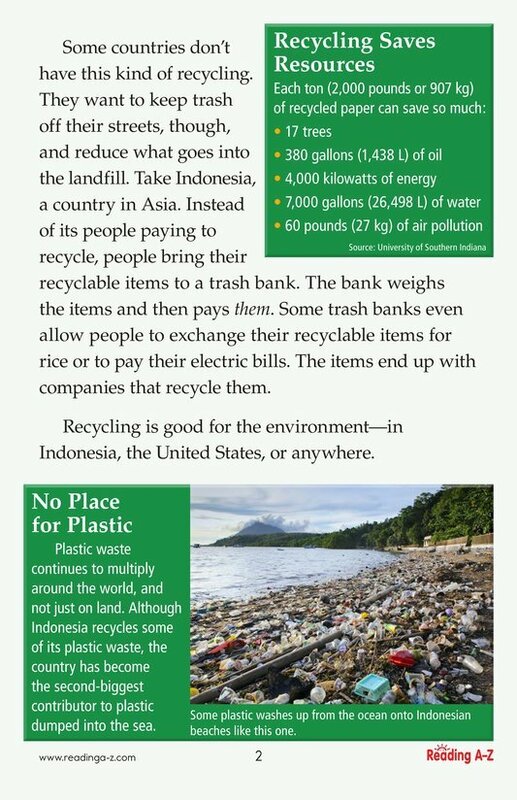 > Close Reading > Close Read Passages > Why Recycle? 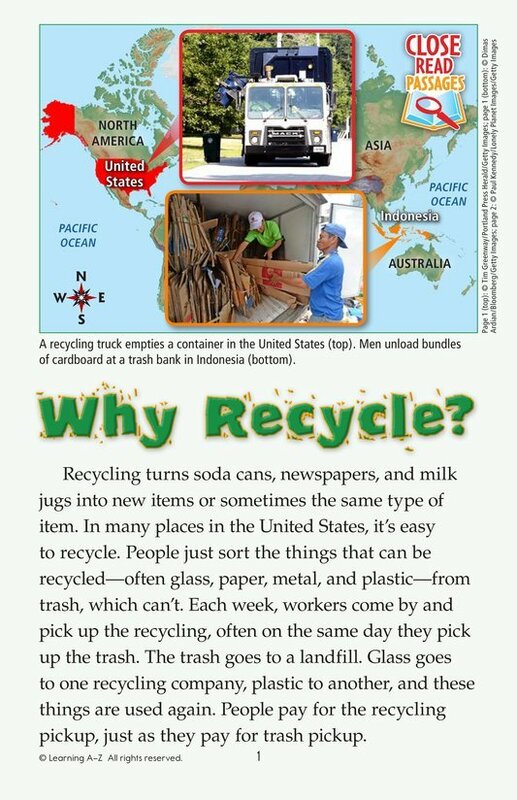 In the United States, recycling for many people is as simple as carrying things out to the curb. All they have to do is pay for the service. In the much poorer country of Indonesia, trash banks pay people to bring in recycling--some of it from littered streets, some from the local dump! The methods are very different, but the results are the same: more space left in the local landfill, and fewer resources used.